I’m taking a lead from a post from Rich and posting about one of my not guilty pleasures. 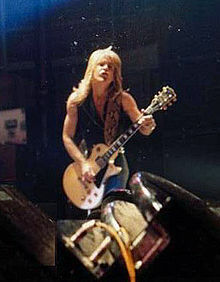 By 1984, I was in full heavy metal mode and it might surprise some that I would even entertain a pop sounding album. My counter is that having been (and still am) a big fan of The Beatles, I thought an album by the son of the great John Lennon, whose life had been so tragically snuffed out just over three years prior, was worth a listen. 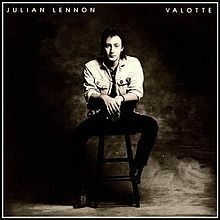 To be frank, I do like Julian Lennon’s debut album, “Valotte.” While it’s called pop on Wikapedia, I have always and will continue to call it mellow out rock because that’s what it exactly is. Julian’s old man’s influence can be heard straight away on the opening title track of the album and its head rises now and again throughout the album. My first reaction to the opening track was that he was trying to sound like his father and while there isn’t anything wrong with that, I was wondering on my first listen way back then that would there be any originality from the son. I can say there is. On the track, “On the Phone,” there is a venture near the waters of progressive rock and I do like the intro. The next track “Space” is an appropriate title for that song, It does sound rather spacey and goes even further into the prog rock zone. “Well I Don’t Know” is for sure a pop tune but it does have the only true guitar solo I can discern on the album. (There is some lead guitar bridges in other songs but that’s all.) Unfortunately, as I am no longer in possession of the album and Wikapedia doesn’t say which guitarist plays the solo, we’ll never know. The next pop song is the big single from “Valotte” called “Too Late for Goodbyes,” which got a lot of play on radio and MTV at the time. Listening to it again after so many years, I do notice that he does walk the tightrope between sounding commercial pop and his father’s influences rather well. It is probably the best tune for a radio hit. 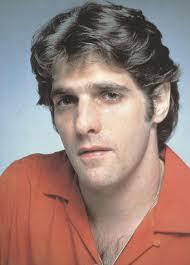 But I much like better, songs like “Lonely” with the cool sax solo which is the highlight of this mellow tune. “Say You’re Wrong” goes more into 80s synth pop and while not terrible, is unspectacular. “Jesse” is the hardest track on “Valotte.” It’s not heavy, not even close, but there is an upbeat tempo and some cool guitar bridges on it. The closer, “Let Me Be” is interesting. It’s a kind of ragtime piano tune that’s only just over two minutes but it is the best way to close the album out. I think Julian might have been going for a non serious exit here. 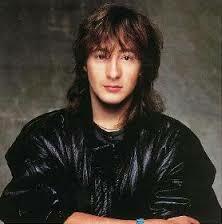 In one respect, Julian Lennon couldn’t win with the critics on “Valotte.” The either said he was trying to be too much like his father or not enough. While his father’s influence is there, he does have his own stamp on the album, even if it is a very mellow album. While I wouldn’t listen to it travelling to or from Bloodstock, if I was younger, I would use it in the same ways teenage boys used “Beth” by KISS in the 1970s or “Every Rose Has Its Thorn” in the late 80s. The album is all right. 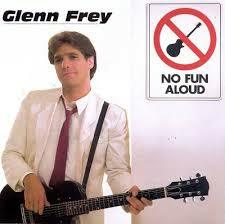 The old chemistry certainly does return on the “No Guts No Glory” album from the very first song. Things definitely feel very upbeat on the first two songs and at the time, I wanted to scream, although I did inwardly, “Welcome back Danny!” While the first two tracks set the pace for the entire album, it is the third track that propels things into the ionosphere. 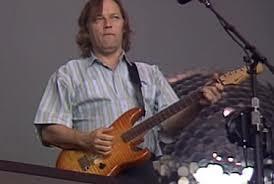 “Sweet Dixie” is one of those Southern rock boogie tunes that has me bouncing in my chair whenever I hear it. Unless I’m walking, then it makes me quicken my step. Even when I returned north after I got out of the service, the lyrics reminded me of the good things about being down South. Of course the guitars of Dave Hlubeck, Duane Roland and Steve Holland are all over that song as well as the entire album but the song where they really shine is the best known song from the album, “Fall of the Peacemakers.” Written as a lament over the murder of John Lennon although I always saw it as an anti- war song, the three guitarists lay down some killer solos in the style of “Freebird” or “Highway Song” on the final five minutes of it. “Fall of the Peacemakers” has been said to have been Molly Hatchet’s own “Freebird.” The guitars are certainly good enough. 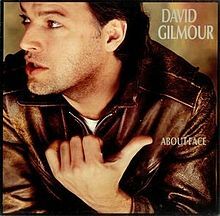 Having originally bought “No Guts No Glory” on vinyl, actually my first vinyl purchase upon leaving the service, the songs mentioned were side one. Side two is definitely not filler. There are five awesome tracks on it that keep the party going very well. Of those five, the standout for me is “Kinda Like Love.” They do throw in something a bit different at the end as the closer, “Both Sides,” is an instrumental. Some more great guitar work on it to end the album just right. 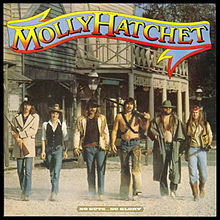 Other interesting facts about the album are the fact that this is the only Molly Hatchet album not to portray a Franzetta painting on the cover. Another is the use of keyboards. Danny Joe Brown was wise to bring John Galvin over from his Danny Joe Brown band to play on the album. The album also features a completely new rhythm section with Riff West on bass and Barry BB Borden on drums. They work very well here. 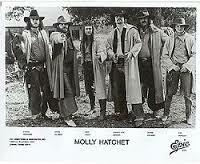 Thanks to the return of Danny Joe Brown, many would say that Molly Hatchet was back. I know they never really went anywhere but the “No Guts No Glory” album in my mind, returned them to former glory. 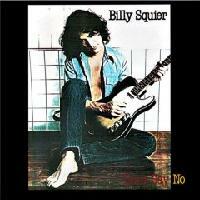 For all my goings on about my paranoia about the singles being the opening song on the album, I must say that Billy Squier goes even further on “Don’t Say No” by having all three released singles as the first three tracks on the album. This is not a bad thing in this case. I continue to listen to “In the Dark” and his biggest hit, “The Stroke” which even got played on AM radio back in 1981 but the third single, “My Kinda Lover” got the memories flowing. Furthermore, it doesn’t matter about where you put the singles on the track list because the rest of the album is definitely not filler. “Lonely Is the Night” could also have been released as a single, especially as I like the intro in that one. “Too Daze Gone” and “Whadda You Want From Me” are also very strong tracks and his tribute to John Lennon, “Nobody Knows.” I do think his vocals are a bit too high on that song but that is offset by a cool guitar solo. The songs on here don’t disappoint so once again I find myself asking, Why wasn’t this album better received in the UK? What I am hoping is that everyone in the UK reading this will rush out and buy this album or at least listen to it on YouTube. That will go a long way in making up for an opportunity that was missed over thirty years ago. By all means, Americans take it out, dust it off and listen to it once more. Then remember what a great album “Don’t Say No” really was. I thought it was a great way to end the journey through 1981. Once again, I know that I’m repeating myself here because I did say this when I visited Mr Harrison’s self-titled 1979 album but I feel the strange need to say it again. Of all the solo work from the members of The Beatles, it’s George’s the I like the best. I did really like Paul McCartney with Wings in the early 70s but I felt he went too disco at the tail end of the decade. For the more astute, you may have realised that I never visited Wings’ 1979 “Back to the Egg” album, now you know why. 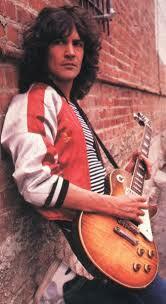 However, George Harrison was consistent with his music throughout and didn’t bow to trends in music. 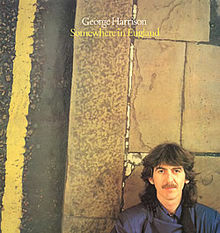 While the 1976 album “33 1/3” remains my favourite of his albums, “Somewhere in England” has to rank up there as well. Warning, this is not a bang your head rock album. George Harrison’s music has always appealed to my more mellower side and this album is no different. However, what comes through on most of the tracks is a subtle lead guitar in the background and for me, that makes most of the songs where it happens. Most notable is the opening track, “Teardrops” and “Unconciousness Rules.” Other tracks have this guitar sound on it as well and there are one or two tracks that make you think George is going to let loose, especially with some of the guitar intros on a couple of tracks but the song goes into the more melodic sound that I know him for. Even so, he makes it sound really good and since the album was released just a few months after former band mate John Lennon’s death, the single “All Those Years Ago” is not only a dedication to him, the other former band mates, Paul McCartney and Ringo Starr appear on the song marking a true tribute to Lennon. I probably appreciate this album much more these days as I’m mellowing with age, although play a Slayer or Amon Amarth song and I will be going full tilt. Over the years before his death, George Harrison put out some good light rock and “Somewhere In England” is one of the best.